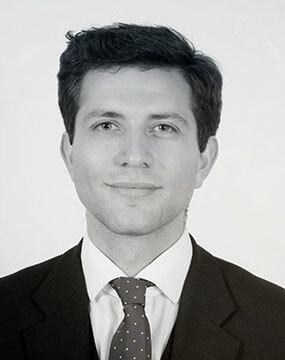 Daniel joined Chambers in October 2018 following the successful completion of his pupillage under the supervision of Matthew Farmer and Russell Pyne. He has been commended for his “easy manner” and “exceptional” advocacy. During the practising period of his pupillage, Daniel was instructed to attend civil, criminal and family hearings. Prior to the commencement of pupillage, Daniel worked as a County Court advocate, appearing before District Judges on the Western and South Eastern Circuits in small claims track trials and interlocutory hearings. Daniel obtained a First Class History degree from Exeter University and a Master’s degree from Oxford University. He received the Major Scholarship from Inner Temple for the GDL and BPTC. He obtained a Very Competent grade on the BPTC and was called to the Bar in 2015. Daniel has undertaken a range of civil work, including fast track RTAs, credit hire, MOJ Stage 3 hearings, consumer credit agreements, landlord and tenant and contractual claims. D v C (2018) – acted for the defendant in a credit hire claim where liability was admitted and successfully argued that the measure of damages should be loss of profit. Consequently, quantum was reduced from £8,000 to £1,000. S v S (2018) – acted for the defendant in an MOJ Stage 3 hearing and successfully argued that the medical report was insufficiently clear to ground a finding of PTSD. S v A (2018) – acted for the defendant in an RTA liability trial. Discredited the claimant’s evidence in cross-examination and the claim was dismissed. T v S (2018) – acted for the defendant in an RTA liability trial. Successfully applied for the claim to be struck out. Daniel has acted in a range of family hearings, including private children matters, care proceedings and applications for non-molestation orders. JP v CS (2018) – represented the respondent mother in an application for a child arrangements order. The father’s application was dismissed and he was restrained from making further applications without the leave of the court. A live-with order was made in favour of the mother. PP v RA (2018) – obtained a final non-molestation order on behalf of the applicant partner. SE v NE (2018) – successfully negotiated child contact for the applicant father at a hearing listed for a two-day fact find.